Explanation: In a flash, the visible spectrum of the Sun changed from absorption to emission on March 9 during the total solar eclipse. That fleeting moment, at the beginning the total eclipse phase, is captured by telephoto lens and diffraction grating in this image from clearing skies over Ternate, Indonesia. At left, the overwhelming light from the Sun is just blocked by the lunar disk. The normally dominant absorption spectrum of the solar photosphere is hidden. 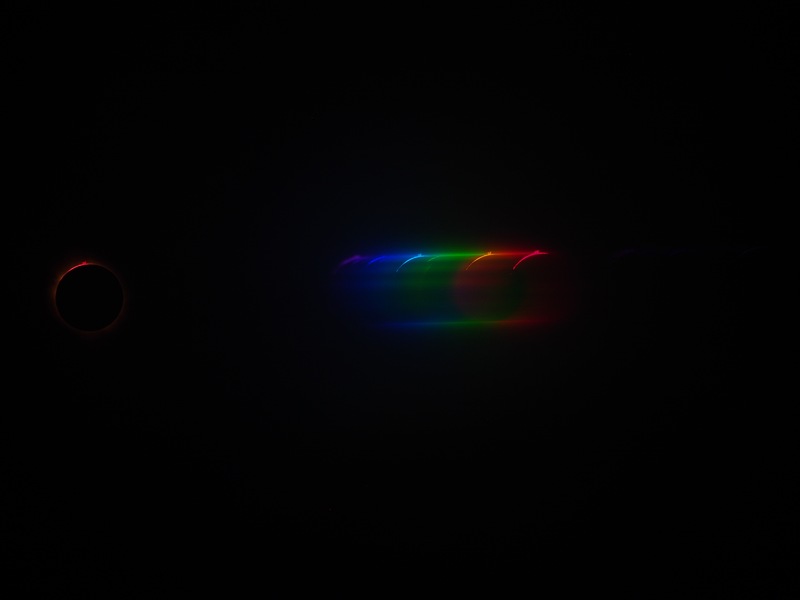 What remains, spread by the diffraction grating into the spectrum of colours to the right of the eclipsed Sun, are individual eclipse images. The images appear at each wavelength of light emitted by atoms along the thin visible arc of the solar chromosphere and in an enormous prominence extending beyond the Sun's upper limb. 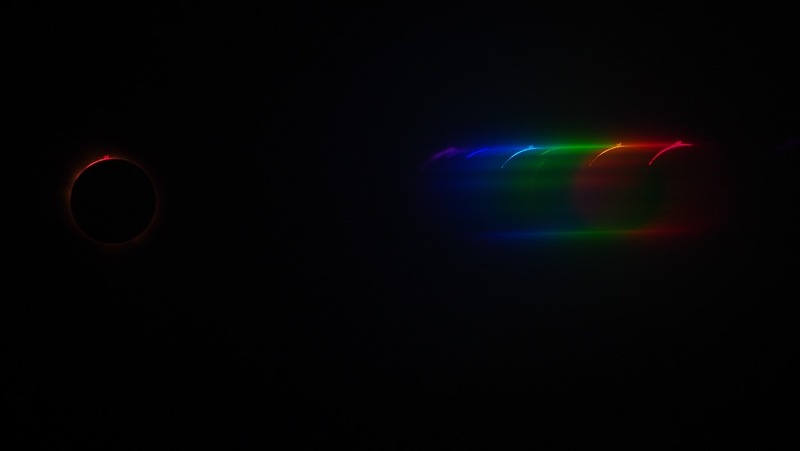 The brightest images, or strongest chromospheric emission lines, are due to Hydrogen atoms that produce the red hydrogen alpha emission at the far right and blue hydrogen beta emission to the left. In between, the bright yellow emission image is caused by atoms of Helium, an element only first discovered in the flash spectrum of the Sun.